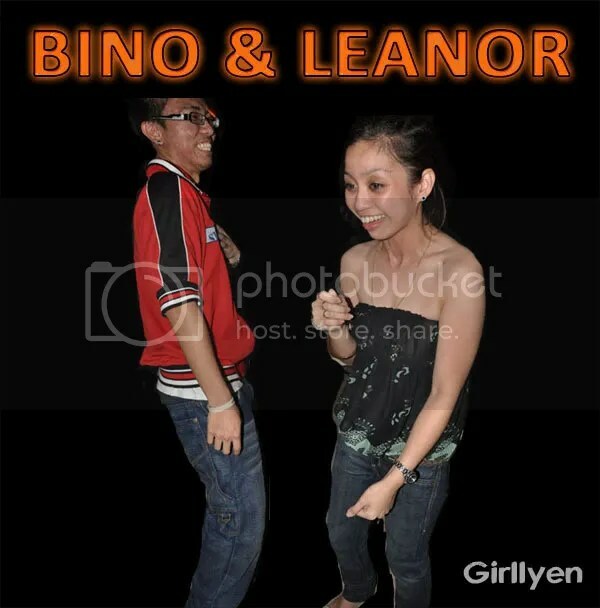 I just want to share with you all with one of the picture I took last night where I feel funny with Bino and Len act in the picture. They remind me of the cartoon Cow and Chicken.. And I really edit them into one of the cow & chicken wallpaper here. Hahahahahahahahah! Gosh.. I’m very sorry guys. I have no intention to ruin ur reputation. If you feel humilated, let me know and I will delete this post immediately, but I think this is way too cool for me. Hope you don’t mind. Seriusly, this is an ART only? Okay? They remind me of this..
Just Dance.. gonna be okay.. dududumm. Ok.. i know it’s not funny.. but you two make me laugh and I almost lost my voice today! Wakakakakakakkakakaka. Punya cool!!!!!!!!!! You got show me this picture in Rumba! 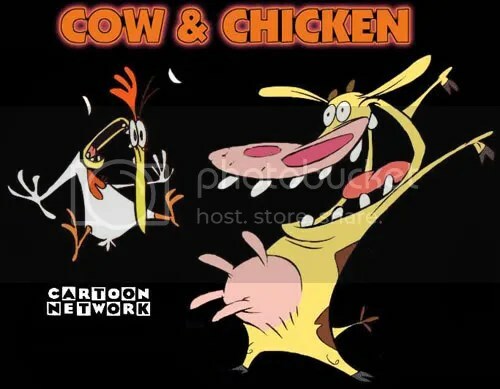 Seriously kan Girl, Cow & Chicken is like my favourite cartoon when I was still obsessed with Cartoon Network! alalalala. Ko nih. Nanti sy blanja ko pizza yang jual di bakery tu ah. Yay!